I ordered it from naturtuche.de , and it's this type. 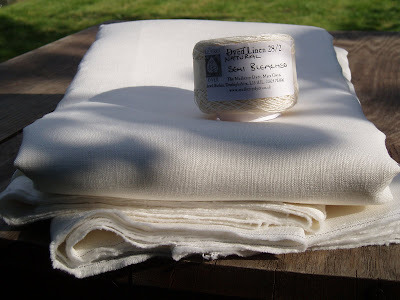 As a basis for a whitework tablecloth, it's important that the linen has a thread count of about 18-20 threads per cm, so it's possible to do both counted stitches and "free" stitches. The cloth I ordered has about 19 threads per cm. For those of you who live in the Netherlands: this shop is incredibly cheap compared to Dutch shops. In the Netherlands, people will usually ask about 35 euro per meter for high quality linen, and only this costed 11 euro per meter. Do take a look at their wool too, they sent me some samples of it and it looks beautiful. I will use linen embroidery thread from the Mulberry Dyer. 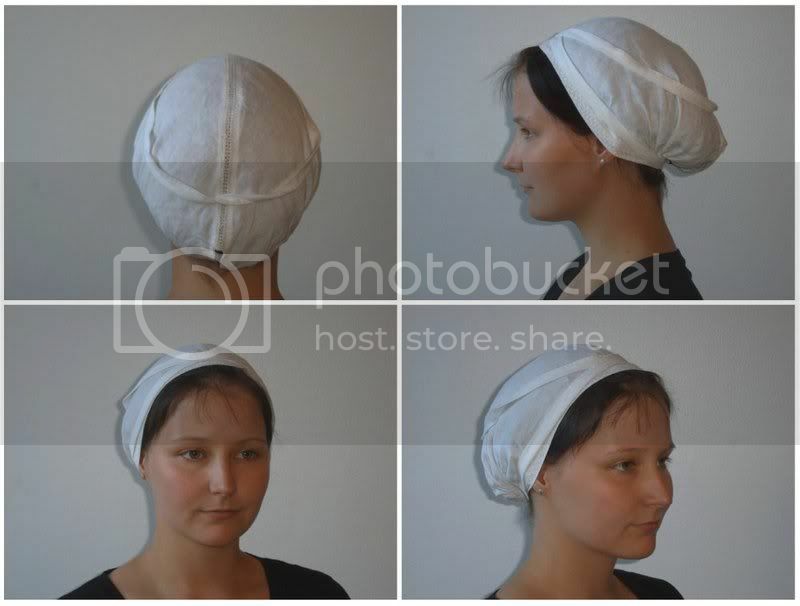 I have written before about the article on St. Birgitta's cap Camilla Luise Dahl and I wrote for Medieval Clothing and Textiles v. 4 (Ed. Robin Netherton & Gale R. Owen-Crocker). Above: reconstruction done by Joanna L. from Finland. Read all about it here. I love this reconstruction because she did all the embroidery in whitework and interlaced herringbone stitch as it was found on the original. Viktoria Holmqvist also dit a wonderfull job on her reconstruction of the cap. She used a simpler version of the herringbone stitch on her cap. You can read her blogpost about it here. Here you can find another reconstruction of the cap (text in Finnish), and yet another one here.